You have to love a League Cup away. There was an appetite for that last night. An appetite on the pitch and an appetite on the terraces. Yes, actual terraces. Burton Albion have three years to get rid of those terraces. While the introduction of all-seater stadiums hasn’t stopped supporters standing at football matches, it was a blast from the past to be stood up without the threat of the back of the seat in front of you shredding your shins in the event of a goal. Whatever your personal take is on standing at football matches, and mine is a conflicted one, last night was an enjoyable oddity. The new ground element satisfied the ground hopping geek within, the terraces on offer gave a nostalgic feel to the evening, even down to the old habit I used to have of taking up an entirely different spec for the second half from the one I took up for the first half, and out on the pitch we cruised to a 5-0 win. Apparently a strong line-up had been promised by Jürgen Klopp, a promise which hadn’t registered on my radar. I’ll be honest about it, I’m not a great listener when it comes to Liverpool FC. I don’t watch the press conferences. I don’t subscribe to LFC TV. I’d rather stab myself in the eyeballs with knitting needles than watch Sky Sports News. I don’t read much about the club (do as I say when it comes to this, not as I do. Always. Always read Anfield Bark). I refuse to do ‘clickbait’ explorations of internet headlines that tell you someone is injured without giving a name. I just don’t seek news about the club I love. Either tell me what’s happened or don’t. That modern pretence of ‘big news’ breaking has sent me in the opposite direction. I do absorb the big, important things, but widely ignore the day-to-day stuff. I like it that way. So, a strong line-up was a surprise to me. I fully expected the now traditional early round of a domestic cup competition style line-up. A misfiring concoction of reserve keeper, young, yet unlikely to fulfil their potential U21 players and senior age misfits who aren’t in with a chance of retaining their place in the team for the following league game. I’m all about people watching, the studying of patterns, navel gazing, throwing out abstract shapes. A strong line-up was a pleasant surprise then. Well, it was for me at least. 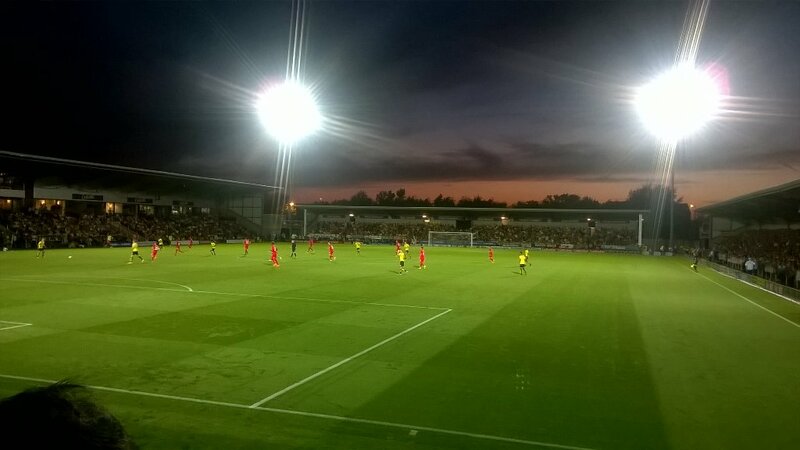 Yes, it was Burton Albion, but five goals scored, a clean sheet secured and Saido Mane did well again. Maybe not as well as many supporters are trying to spin, but he did well all the same. Give him a break and don’t lay the weight of the Liverpool FC world on his shoulders too soon eh? It was a night when even our full backs avoided the hyperbolic scrutiny and at times unrestrained vitriol of critical assessment, which they so regularly befall. Of course, Alberto Moreno being on the bench reduced the possibilities of this by 85% from the very outset. These are the kind of nights when the Premier League side is meant to labour, meant to struggle for movement and momentum. Movement and momentum were not a problem last night though. They were instead concepts which were a problem last Saturday at Burnley, while they need to be concepts with don’t malfunction this Saturday against Tottenham Hotspur. Toss the coin now and lay your bets. Dr Jekyll or Mr Hyde? Sterner stuff than Burton Albion lays await. White Hart Lane takes Klopp back to where it all started last October. Saturday sort of marks the beginning of his second lap around the track as Liverpool FC’s manager. His first repeat game, the first chance we get to see of what he has learned of rival clubs from his first impressions of them. After the loss at Burnley I mentioned how Liverpool FC are the perpetual, the eternal work in progress. I fully subscribe to that. We’ve had some fine managers since we last won the title, we’ve had some fine players since we last won the title, but we’ve not controlled that dangerous dog or wrestled that lion. From Saturday onward the game changes a little bit for Klopp and we get to see a further glimpse of the true version of him. Another PT Barnum like Brendan Rodgers or the real deal? False idol or the long awaited lion tamer? It’s all just a little bit of history repeating. Which history that will be is still to be determined however. The promised land of a success laden history increasingly long since lost, or more of the same from Liverpool FC’s more modern history of returning to the drawing board on the back of another mission to the moon which ended up getting lost amidst heavy cloud. The weather report was pretty good last night. Summers don’t seem to be what they used to be though. Rainy days are always liable to tip up unannounced. Someone much better than me at this writing game insists the disappointments of Liverpool FC are easy enough to live with. Instead of the disappointments, it’s the hope which kills you. I hope we win on Saturday.